If you love editing photos, you’ll love using these useful image editing apps on your iPhone or iPad. Here we’ve listed some useful and featured rich photo editors which can help you create, edit and add different types photo effects like professionals. Although most of these apps are not very popular on the app store but these apps come with many features that can help you edit your photos easily on your device. 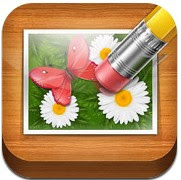 Check out these useful image editing apps on your iPhone or iPad. 1. PhotoToaster ( iPhone & iPad ) – PhotoToaster is a very useful image editing app for iPhone and iPad that includes some useful features which can help you make beautiful photos like professionals. The app has integrated with some powerful photo editing tools such as- tons of one click effects, image adjustment tool with 26 live slider controls, beautiful borders, filters, brushes and many other photo editing options. Easy to use photo editor for iPhone and iPad that helps you create photos like pro. 2. Juxtaposer ( iPhone ) – Easy to use high quality image editor that lets you combine multiple photos into creative and fun photomontages like professionals. The app helps you edit your photos and add many special effects. You can also share your created photos on your social networking accounts such as Facebook, Twitter or Flickr. Justaposer comes with some useful features which can help you to move your photos’ elements from one picture to another. Beautifully designed clean and easy photo editing app for iPhone which has responsive and intuitive user interface for iPhone users. 3. PicZone Photo Editor & Collage Maker ( iPhone & iPad ) – Featured rich fully functional image editor for iPhone that includes many powerful image editing options. The app can also be used as a professional editing app to make your photograph more attractive. PicZone has many image editing features such as – powerful photo editor with lots of effects and filters, different types of lenses, textures, photo frames, colour adjustment tool, emoticons, 100+ realistic photo stickers, and many other features. The app also comes with freeform collage maker tool that lets you create beautiful photo collages with lots of photos. 4. AfterLight ( iPhone & iPad ) – AfterLight is a quick photo editing tool that lets you edit and improve your photos easily on your device. The app comes with tons of image editing features such as – 15 different types of image adjustment tools, 40 types of photo filters, lots of textures , cropping, transforming and enhancing tools and beautiful adjustable photo frames. 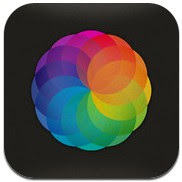 Very useful photo editor that helps you edit and enhance your photographs easily on your iPhone or iPad. 5. TouchRetouch ( iPhone ) – Touch Retouch is a unique image editor for iPhone that lets you easily remove unwanted content or element from a photo. For example, you can remove all of your friends from a group photo, or you can remove any type object from a picture. Very useful and unique photo app that can be used to create high quality photos. The app also comes with in-app video tutorials, background recovery feature, social sharing option and countless redo/undo option. 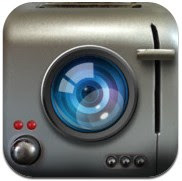 Great app for all iPhone users.